... Christmaaaas! 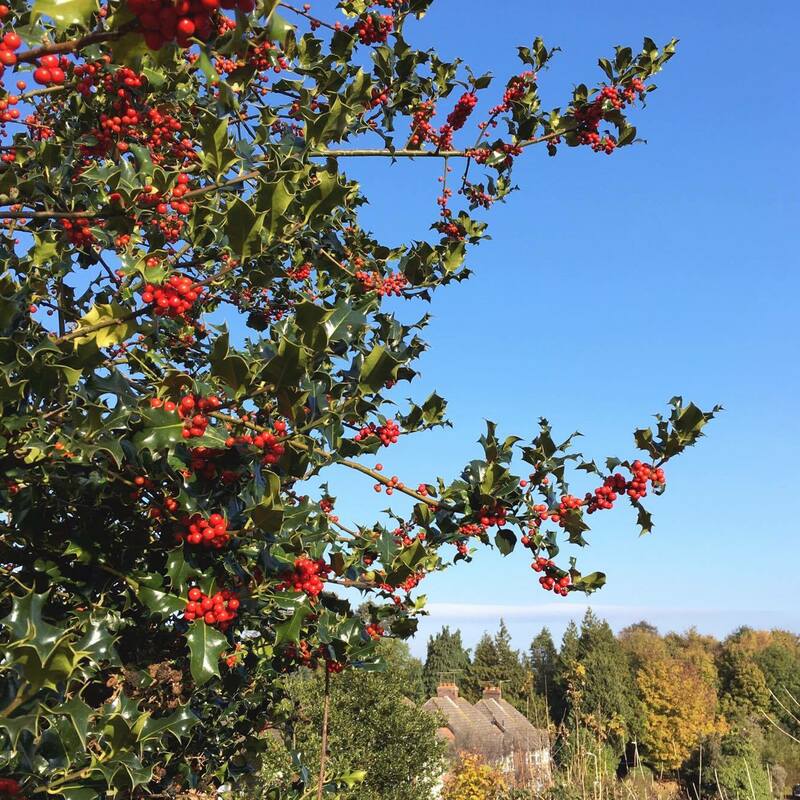 I spy holly leaves and I instantly hum 'Deck the Halls'. The shops are filling their shelves with festive treats and glass baubles. The shoppers have doubled in size. The town's twinkly lights have been hung in preparation for the annual festive family day. 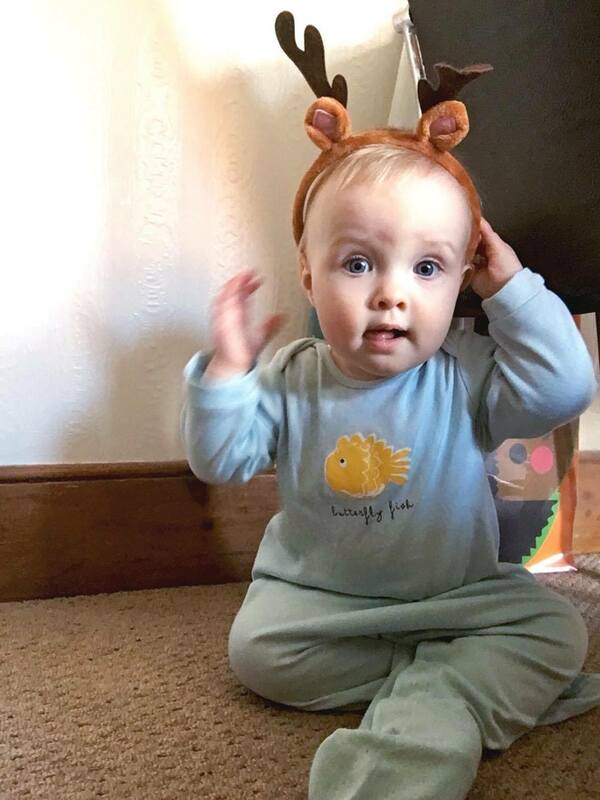 Olive has been donning her reindeer antlers that her Nanny put in her 'Welcome to the World' hamper nearly a year ago. Festive songs have been playing on the record player. Frank Sinatra won Olive's heart - her first listen of Christmas songs and she was grinning from ear to ear! (She's mine alright!!!). 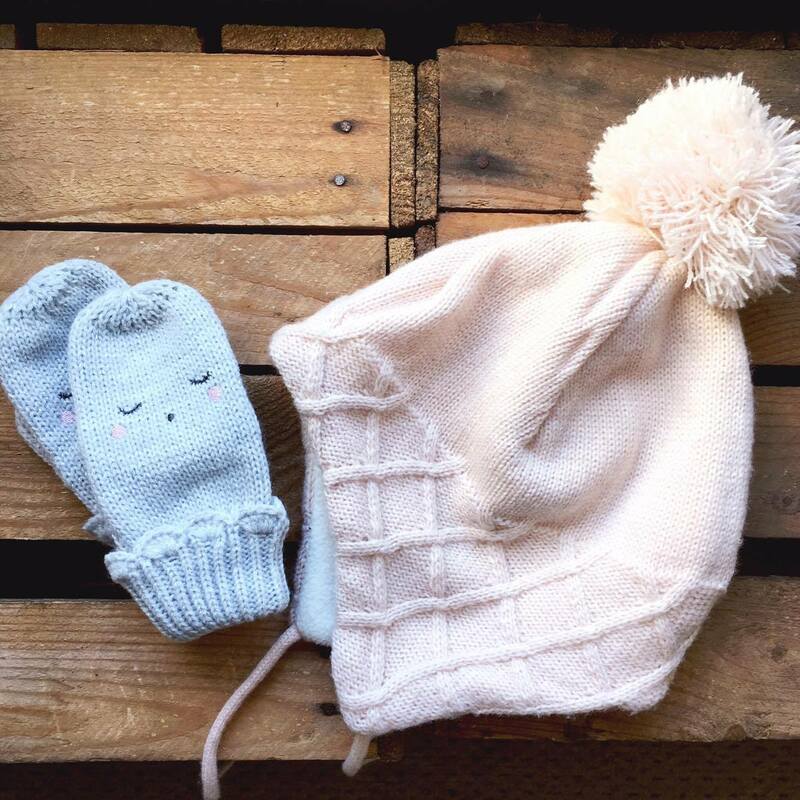 It's chilly enough to be wearing bobble hats, mittens and boots. 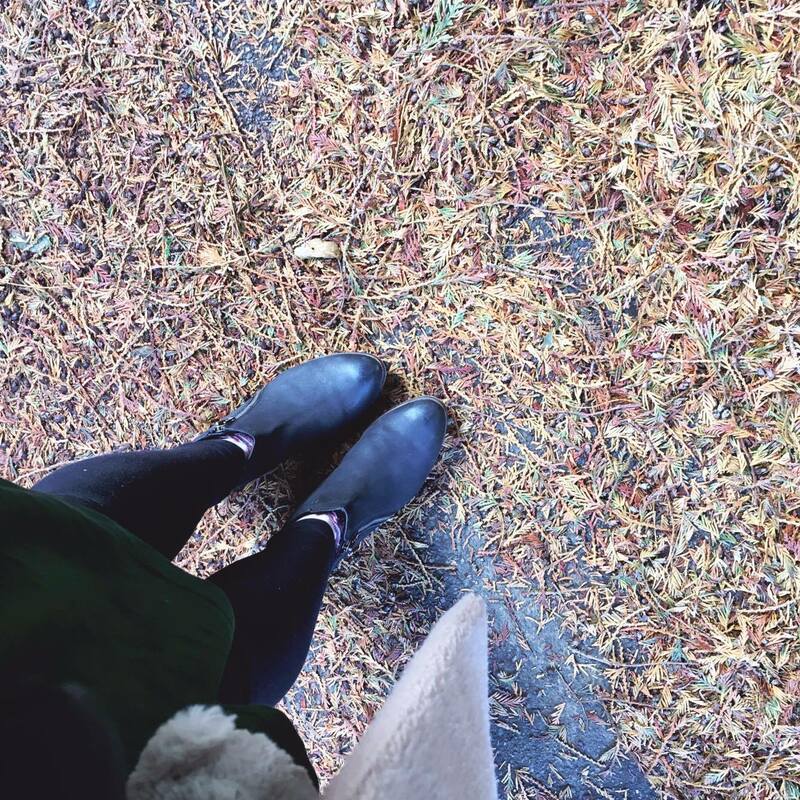 That's right, it's officially boot wearing weather. Finally!! If only I can convince Olive to keep her cute little mittens on! I however need a new pair of mittens as mine are tatty and so not practical (they are owls, and even though they amuse Olive, I would like a pair of 'proper grown up' ones! haha). 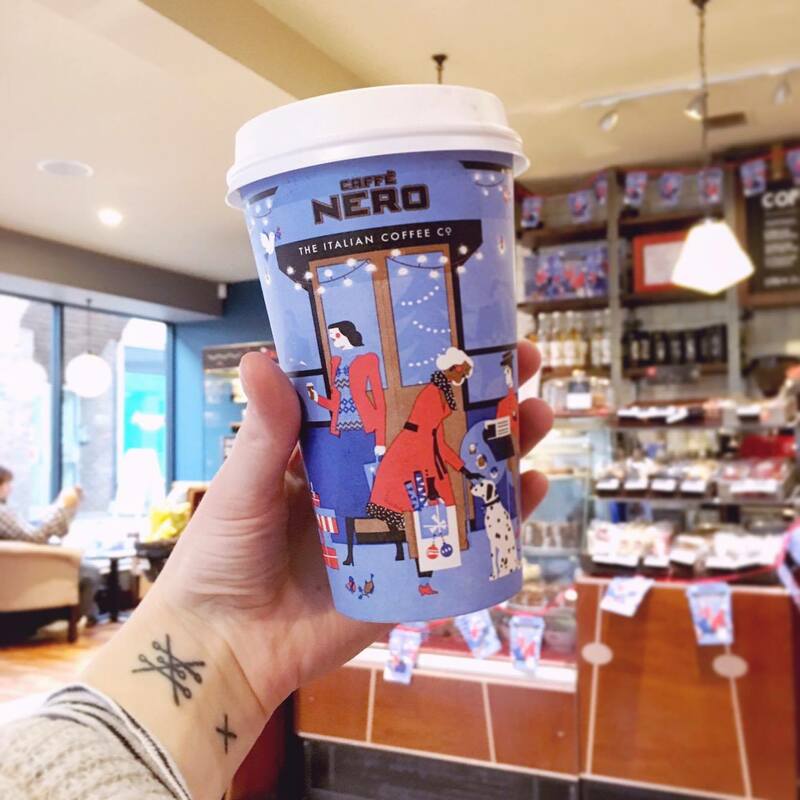 Our favourite coffee shops have their festive menus and their pretty, Christmassy cups. Hooray. I'd like to try a Lindt hot chocolate from Costa but my heart has been well and truly kept by Caffe Nero. Hello yummy salted caramel hot chocolate! I have also tried the salted caramel latte and I am in love. They even sell the salted caramel syrup so basically they are well and truly winning! Plus their cups are by far the most amazing (see ya red cups, it's ALL about the blue ones this year!). I have started watching Christmas films, nibbled on chocolate coins and other Santa shaped treats, gingerbread Viennese, writing lists and making plans. I am still way behind with feeling festive and eating more mince pies then sandwiches ... so I really need to get on that ASAP! What festive things have you been up to? It's so weird to see you mention that your behind on feeling festive already. It's not done to think about Christmas here in the Netherlands before Sinterklaas (the dutch Santa Claus basically) has left the country, which is not until the fifth of December. No Christmas tree until then either. Yet I've started to feel so festive this week too! I've already been eating Sinterklaas treats, but now I've started drinking festive treats and listening to christmas songs too. Next on the list is the first Christmas film of the year. Ahhh I love Christmas! I'm totally getting into the Christmas spirit. I can't believe we're so close to December; the build up is my absolute favourite.